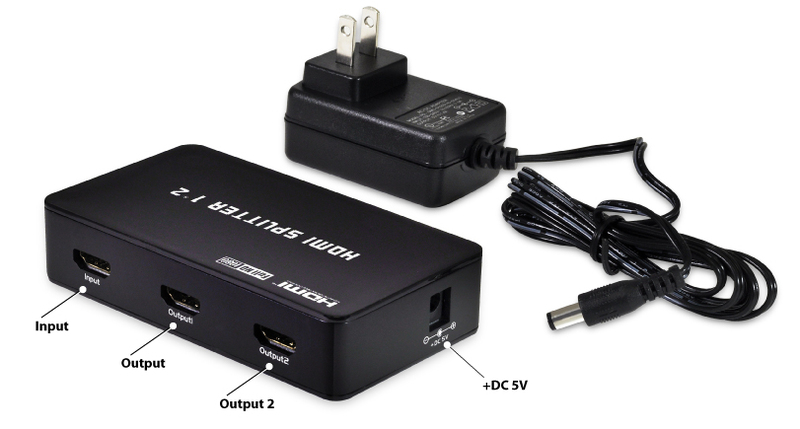 The Greatest Gadget Known to Mankind--the HDMI Splitter! 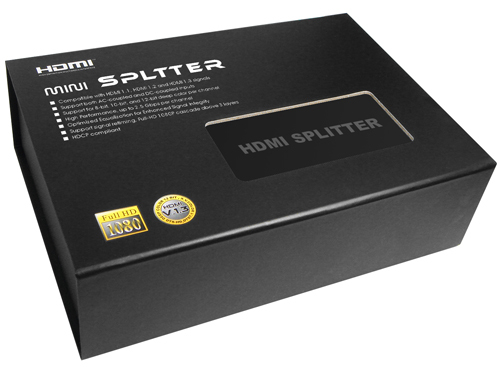 Connect the OSD-HDMI 1x2 splitter to your HDTV display and split the signal to two high-def displays in other rooms. 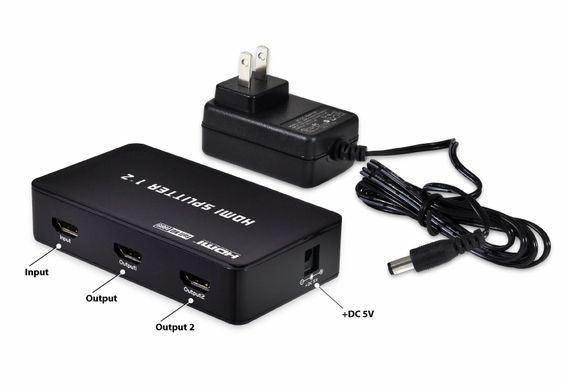 The beauty of an HDMI splitter is that all HDTVs have the same picture and audio quality. 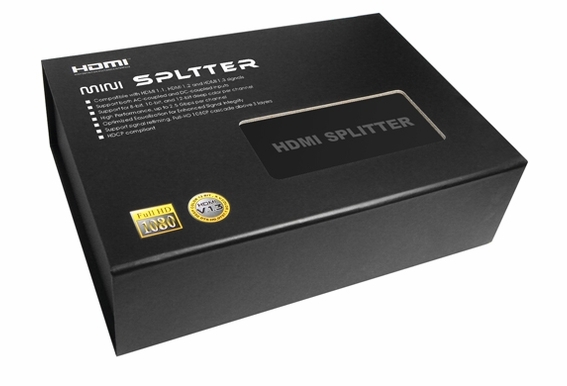 Our splitter supports 1080p, 1080i, 720p, 576p, 480p, 576i, 480p. I am wanting to run two tv's from one cable box. Will this splitter work? Hi Tim: It should be able to split the signal for your cable box. How far away are each TV from the cable box. We do offer HDMI up to 100 feet but typically the longer the HDMI cable the better chance it might not work. Pick out the splitter and the two lengths of cables you will need. Make sure to connect them to the TV's before you mount them in the wall to make sure they work. We do have a 30 day performance guarantee so you will not be stuck with anything that does not perform to your satisfaction.